What’s not to love about the scent of a beautiful floral bouquet? 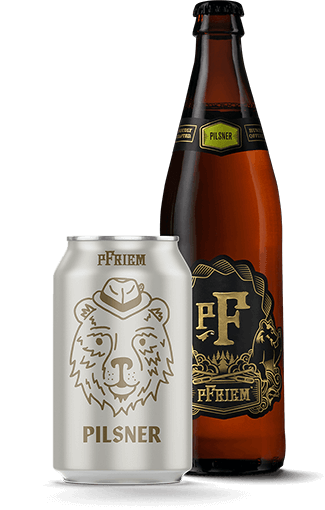 pFriem Japanese Lager features aromas of Shiso plum, fresh bread, and violet aromas, and sparkling notes of fresh green tea and wildflowers. Brewed with rice in the Japanese tradition, it’s an effervescent delight that smells like flowers and drinks like beer. Beer was first introduced to Japan by Dutch traders living on the island of Deshima, in Nagasaki harbor, during the 17th century. Steadily, more Japanese experimented with beer brewing during the 1870s and 1880s. A small handful of these early Japanese firms survive. The first is Kirin Beer, which was first founded by William Copeland in Yokohama as the Spring Valley Brewery in 1869 or 1870. The second is Sapporo Beer, which began on Hokkaido as the government’s Kaitakushi (Colonization Office) Brewery in 1876 and was privately reorganized in 1887 as the Sapporo Breweries Company. By 1901, these two brewers competed with over a hundred others, prompting Japan’s government to consolidate the nascent industry and prepare it for international competition by imposing a steep production tax. Though poised for steady growth in beer sales as living standards gradually crept upward, Japan produced just a fraction of the raw ingredients necessary to brew it. Given beer’s dominant European character, however, little effort was made to remedy this shortfall. Beer was very consciously advertised and sold as a Western commodity and doing so necessitated that Japan’s brewers be able to claim that they used imported European ingredients. As no brewer wished to be seen as the maker of an inferior product, they maintained the public perception that domestically produced beer was every bit as good as European imports. Steadily, Japan’s brewers imported newer equipment from Europe, and they hired German brewmasters to set up their plants, train workers, and maintain a rigid adherence to the Reinheitsgebot, or the German “Beer Purity Law” of 1516. The German brewmasters hired to work in Japan followed these traditions closely, and even the factory designs were German in character. As their imposing brick walls and tall chimneys rose above the skylines of Tokyo, Osaka, and Sapporo, they transformed the appearance of Japan’s burgeoning industrial cities. pFriem Japanese Rice Lager is an ode to the Japanese brewing tradition. Combining tradition European ingredients and process with the modern use of rice to lighten the color and to dry out the beer. pFriem Japanese Rice Lager is hopped with both Saaz and Celeia for a beautiful floral bouquet. Dense, snow-white foam relaxes on a brilliant, champagne-hued pour. Bright aromas of shiso plum, fresh bread and violet precede sparkling flavors of jasmine rice, fresh green tea, and wildflowers. The finish is effervescent, quenching and SUPER DRY! pFriem Japanese Rice Lager is excellent with seafood especially sushi. The floral bouquet pairs wonderfully with nutty flavor of Emmentaler cheese. You also cannot go wrong with a Bavarian pretzel or roasted peanuts!